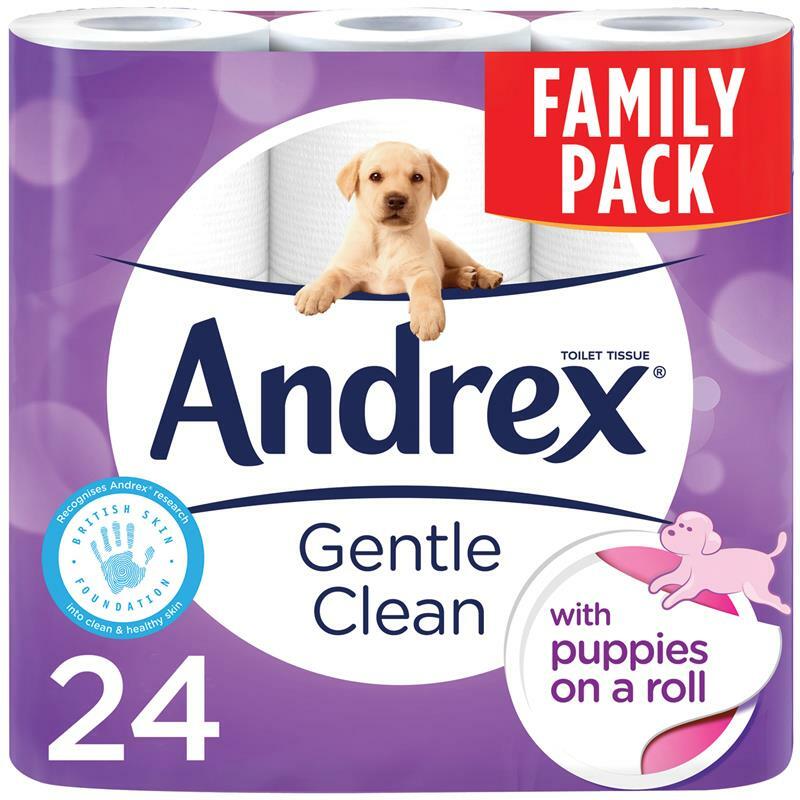 Andrex Puppies On A Roll Family Pack Toilet Tissues - Pack of 24. Andrex toilet tissue is a perfect balance of softness and strength, and this one has puppies all over. The toilet tissue is embossed with puppies on each sheet to provide fun for kids, and all the family.